The market leading provider of Employee Car Ownership Schemes in the UK. Car Benefit Solutions design and implement Employee Car Ownership Schemes that add value, deliver control and flexibility to employers, remove the limitations of a traditional car benefit and allow businesses to determine the level of benefit they provide to their employees. What is an Employee Car Ownership Scheme? 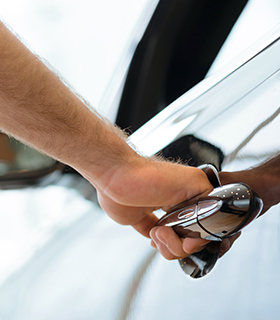 Employee Car Ownership Schemes (ECOS) are a method recognised by HMRC, of providing a car to an employee in a way that means the car benefit provisions do not apply. In essence, an ECOS does not constitute a company car and can remove the restrictions of traditional car benefit, allowing the employer to control the level of benefit they provide to the employee. How does an Employee Car Ownership Scheme work? 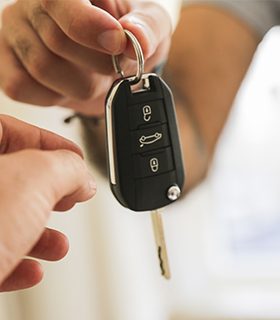 Unlike other car financing arrangements, for an Employee Car Ownership Scheme to be valid, ownership of the car must pass to the employee at the outset and the funding must be unsecured. Company car tax does not apply and the employer does not pay Class 1A National Insurance (NIC) on the provision of the car benefit. Instead, the arrangement is taxed on an actual cost basis to the employee. The employer controls policy and the level of benefit provided to their employees, with fixed repayments and a guaranteed buyback arrangement at the end of the contract term. The arrangement can also include a maintenance and servicing plan and insurance can be provided by the employer. ECOS can be utilised for employees with car entitlement or as a wider staff benefit for all eligible employees. What are the advantages of Employee Car Ownership? The cost of the car to the employee and employer is fixed over the term of the agreement as opposed to being subject to increasing tax and NIC costs. All CBS schemes are designed with the customer in mind and deliver control, convenience and compliance in a complete solution that covers consultancy, funding, bespoke systems, reporting, scheme promotion and support at no additional cost to the employer. CBS provides a completely independent funding facility to support our schemes. This allows us to offer flexible funding and ensures client funding and credit lines remain completely untouched. 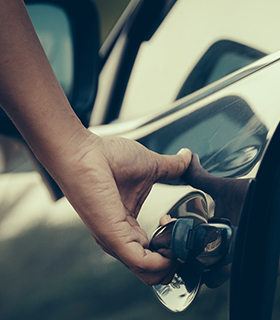 We are authorised and regulated by the Financial Conduct Authority from who we have full permissions to issue the specialist credit agreements required to operate a valid and robust Employee Car Ownership Scheme. Our unique purpose built system was created by CBS for our clients from the ground up. It takes the resource commitment required for scheme management and administration away from our customers and really sets us apart in our industry. The fact it was built in-house makes it completely customisable to the client brief and allows CBS to set bespoke parameters and rule sets around the schemes. Our dedicated scheme websites also make the quote, order, and delivery process convenient for your drivers and simple to control for your business. I'm interested in a solution from CBS for a corporate organisation. Car Benefit Solutions is the leading provider of employee car ownership schemes in the UK Automotive Industry. Supported by the manufacturer and facilitated by CBS, our schemes are designed to deliver mutual benefit and value throughout the automotive supply chain from manufacturer to franchised dealer and employee driver. CBS work in partnership with motor manufacturers to design, build and implement sponsored Employee Car Ownership Schemes. Our consultancy, technical and commercial teams focus on delivering an intelligent yet simple and easy to enjoy employee benefit that creates value, offers convenience and ensures compliance from motor manufacturer through to dealer employee. CBS have designed and implemented more than 50 motor manufacturer sponsored Employee Car Ownership Schemes in partnership with the vast majority of manufacturer brands in the UK market. CBS work alongside franchised dealers to align manufacturer sponsored Employee Car Ownership Schemes with dealer initiatives and objectives. Our consultancy team will discuss how schemes can be customised to fit the client brief by establishing the different parameters for the scheme. 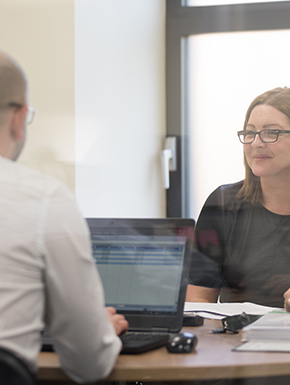 Once set our team of experts will support a thorough implementation covering training, presentations, marketing, reporting or consultation surrounding scheme or business performance. CBS work with more than 60% of the Top 200 dealers in the UK, covering 25 manufacturer brands and providing 30,000 annual registrations. CBS Employee Car Ownership Schemes are built with the employee in mind and are based on providing value and convenience for drivers. Designed to be an acclaimed employee benefit, cars are available with zero deposit, short term contracts and fixed low monthly repayments. From a population of over 20,000 drivers more than 97% of employees would recommend CBS to a colleague. 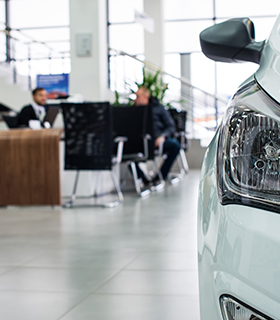 A motor industry exclusive, the CBS Staff Car Scheme is designed to deliver a car benefit to every eligible employee at no additional cost to the employer. The scheme is sponsored by the respective manufacturer, who provides a choice list of vehicles available to employees with zero deposit, fixed low monthly repayments and short term contracts. Flexi is an enhancement to the CBS Staff Car Scheme, it allows employers the flexibility to determine the level of scheme repayment paid by their employees, with no Benefit-in-Kind liability (subject to managed parameters). 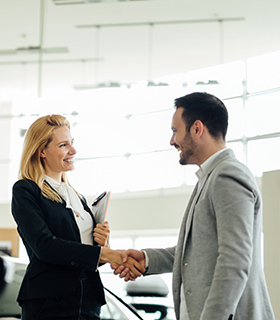 This gives employers the option to enhance vehicle choice and model specification, plus the ability should they wish to enhance the standard employee benefits package. Flexi is an enhancement to the CBS Staff Car Scheme, it allows employers the flexibility to contribute towards scheme cars and determine the level of benefit they provide for their employees, with no Benefit-in-Kind liability. This gives employers enhanced control of vehicle choice and model specification, plus an enhancement to the standard staff benefits package. The CBS Employee Car Ownership Scheme is designed to remove the restrictions and limitations of a traditional car benefit and create financial and operational benefits for employers and their employees alike. 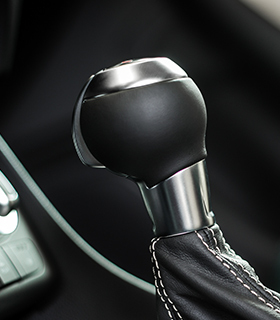 The scheme applies to employees with a car benefit entitlement and offers significant savings on premium models and high specification derivatives. Partner and Supplier Schemes are an affiliate scheme provided on exclusive terms by the manufacturer to key business partners of their choice. They are structured to deliver car benefit to eligible employees at no additional cost to the business. The manufacturer provides a choice list of vehicles available to employees on flexible funding packages that include zero deposit, fixed low monthly repayments and short term contracts. CBS facilitate and manage the scheme offering control, compliance and convenience to manufacturer partners, suppliers and their employees. The CBS Employee Car Ownership Scheme is designed to remove the restrictions of traditional car benefit and protect employers and their employees from the rising cost of company car tax. 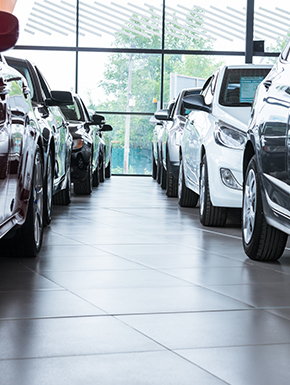 The scheme applies to employees with car entitlement and offers a broader choice of vehicle across a spectrum of brands, delivering significant savings on premium models and high specification derivatives. The CBS Consultancy Team work with the manufacturer and their respective dealer network to set objectives and parameters for the scheme. This includes scheme design and exclusive pricing. Once agreed, the Network Development Team present the scheme to the brands franchise dealer community. The employer opts to participate and the scheme is designed and implemented to fit the client brief by our Operations Team. The scheme is marketed to all eligible employees who can browse through vehicle choice lists and request quotations via the scheme website. Quotations are managed by the on-site Scheme Coordinator who can approve or decline quotations using the task manager. CBS issue a Credit Sale Agreement (CSA), once signed the car can be registered and ownership transfers to the Employee. Funding is provided by CBS with repayments deducted monthly by the employer from the employees NET Pay. At the end of the contract term the employee can request an optional final payment. At this stage the employee can choose whether to make the payment and own the vehicle outright or hand the car back. The CBS Consultancy Team work with the employer to set the parameters and objectives for the scheme with a focus on delivering efficiencies in comparison to the current company car policy. The scheme is then designed to client brief and in some instances CBS can provide access to exclusive manufacturer sponsorship. The Operations Team work with the employer to implement best practice and establish policies, detailing employee contributions, eligibility criteria, vehicle viability and how to mitigate risk. Vehicle selection is managed by the employer and the client can browse vehicle choice and create quotations on the scheme website. The employer may choose to offer employees a selection of vehicles at their discretion. The car is registered and CBS issue a Credit Sale Agreement (CSA) to transfer ownership to the employee. Funding is provided by CBS to the employee with repayments deducted monthly by the employer from the employees NET Pay. The CBS Consultancy Team work with the manufacturer to facilitate schemes for selected partners and suppliers, setting parameters for the scheme. This includes scheme design and exclusive pricing. CBS then commence the implementation with the client establishing eligibility criteria and policy. A scheme website is set up and the client selects a Scheme Coordinator to approve or decline quotations. The scheme is marketed to all eligible employees who can browse through vehicle choice lists and request quotations via the scheme website. The cost and availability is confirmed, CBS issue a Credit Sale Agreement (CSA) to transfer ownership to the employee. Funding is provided by CBS to the employee with repayments deducted monthly from the employee’s NET Pay. The CBS Consultancy Team work with the client to set the objectives and parameters for the scheme including vehicle choice, contract term, vehicle maintenance, employee contributions and policies. CBS then negotiate terms allowing corporate organisations to benefit from rates available to CBS. A scheme website is set-up allowing employees to view the cars available to them. This can be tiered and managed by viewing permissions set by the client. Employees can view the available choice lists and create quotations via the scheme website which are then approved or declined by the client in the task manager interface. Cost and availability is confirmed and CBS issue a Credit Sale Agreement (CSA) to transfer ownership to the Employee. Delivery is arranged and funding is provided by CBS with repayments deducted monthly by the employer from the employees NET Pay. Maintenance and fleet administration is managed by CBS, this includes vehicle servicing, road tax payments (VED), MOT’s, breakdowns, fine management and any ad hoc maintenance. At the end of the contract term the employee can request an optional final payment. At this stage the Employee can choose whether to make the payment and own the vehicle outright or hand the car back to CBS. The car is then assessed for fair wear and tear.